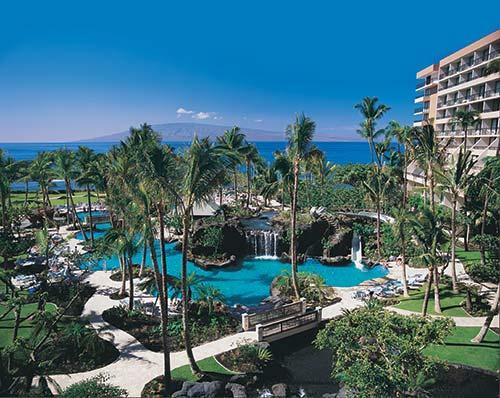 The following information is about the Marriott timeshare resale at Marriott Maui Ocean Club which is located in the heart of Ka’anapali Beach on the island of Maui. 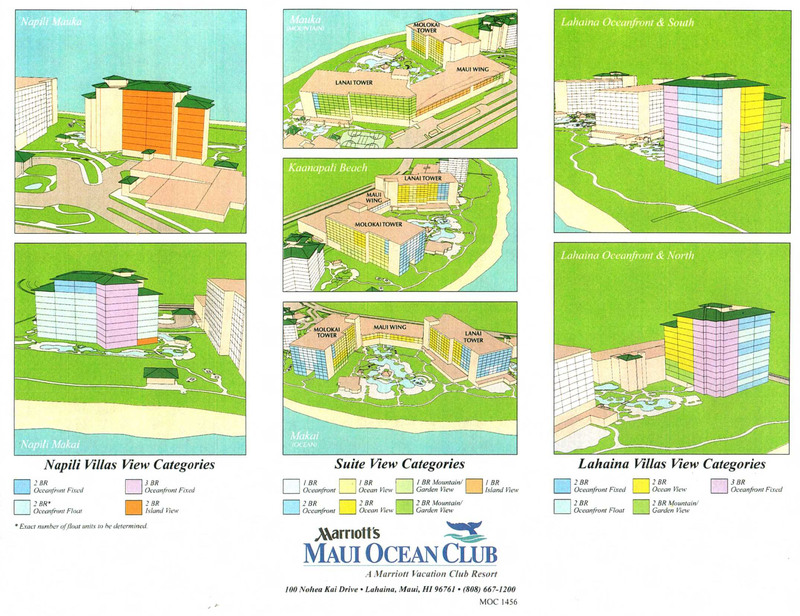 There are two phases to the Marriott Maui Ocean Club. The first one is the original or what is called a “hotel conversion” phase. This property used to originally be a hotel and was then converted into a timeshare program in 2000. 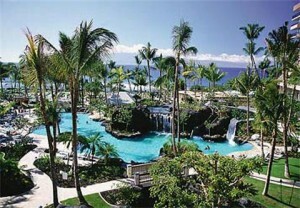 The new phase is the Lahaina and Napili Towers that are purpose built timeshares, which were built in 2005 through 2007. 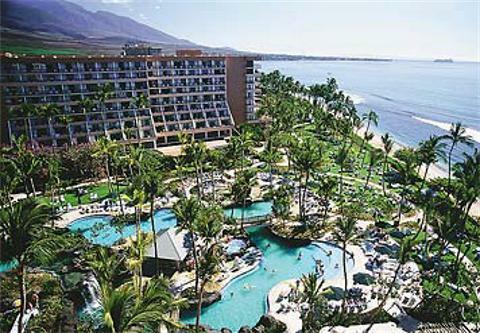 The original phase of this Marriott timeshare resale consists of one and two bedroom units. The one bedroom units sleep 4 people, has two rooms and they come in Oceanfront, Oceanview, Mountain/Garden view and Island view units. The two bedroom/three bath lockoff units come in Oceanfront, Oceanview and Mountain/Garden view and sleep up to 8 people. The one bedroom units have a partial kitchen which consists of a microwave, small refrigerator, dishwasher and kitchen sink. The sofa pulls out into a bed and the dining area seats up to 4 people. The master bedroom has a king bed and has a balcony or lanai. The two bedroom/three bath lockoff is the same as a one bedroom unit and has a third room and a bath attached to it. This third room can be used as a second bedroom or can be locked off as a studio unit and used separately for a second week of vacation. This third room consists of a king bed, a sofa pullout and sleeps up to 4 people. The room has a microwave and small refrigerator. There are washers and dryers located on the property in each building. There is also a communal kitchen in the lobby of the Marriott Maui Ocean Club original phase which has 3 two burner electric cooktops, a microwave and kitchen sinks. There is a restaurant, a swimming pool and fitness center on this property. The vacation ownership program is a floating week timeshare program where there are two seasons. Platinum Season is floating weeks 1 – 51 and Platinum Plus includes week 52 which is New Year’s week. 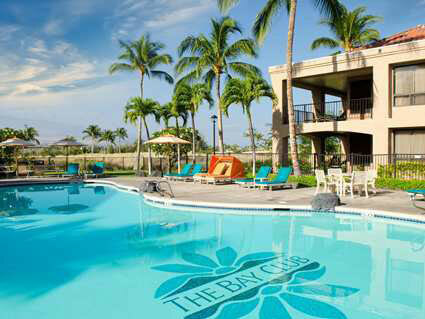 The Lahaina Tower has two bedroom lockoff units and three bedroom lockoff units. The two bedroom lockoff units come in Oceanfront, Oceanview and Mountain/Garden view units. There are fixed weeks and floating weeks in the Oceanfront category. There are floating weeks in the Oceanview and Mountain/Garden view units. All the three bedroom lockoff units are Oceanfront and are fixed weeks and fixed units. The Napili Tower has Oceanfront and Island View units in the two bedroom lockoff category and there are fixed weeks as well as floating in the Oceanfront category. The three bedrooms are fixed weeks and fixed units. These units come with a full kitchen, a washer/dryer in the unit, an oven under the 4 burner cooktop and a full size refrigerator. The lockoff part has a king bed, a sofa pullout, a microwave, a kitchen sink and a small refrigerator. There are community washer/dryers in the Lahaina and Napili villas. The timeshare program has floating weeks. At Lahaina and Napili Towers, Platinum season is floating weeks 1 – 50 and week 51 and 52 can be purchased as either fixed or floating time. The first is called Legacy Weeks where you own in a specific resort, in a specific type of unit, view category (if applicable) and also season. This entitles you to make a reservation at your Home Resort in the season and unit type you own up to 12 months in advance. If you own multiple weeks in the Marriott timeshare vacation program then you can book up to 13 months in advance consecutively for your weeks at your respective Home Resort in the season and type of unit you own. Marriott allocates half their inventory for people who can book up to 13 months in advance. The other half is for people who own single weeks and can book up to 12months in advance. All exchanges are done through Interval International and if you purchased directly from the Developer you have the option to convert into Marriott Reward Points. Or if you purchased a resale or retail prior to June 20, 2010 you have the option to convert into the Marriott Destination Club Points program. Marriott Destination Club Points Program is the second program available in the Marriott timeshare vacation program. The Marriott Destination Club Points Program is a points-based program which gives you a beneficial interest in a land trust is comprised of inventory from all the Marriott Vacation Club resorts. These points can be used for a few days at a time, for partial weeks, check-in/check-out any day of the week, any size unit and view available, based on the number of points you have, at any Marriott Vacation Club property. 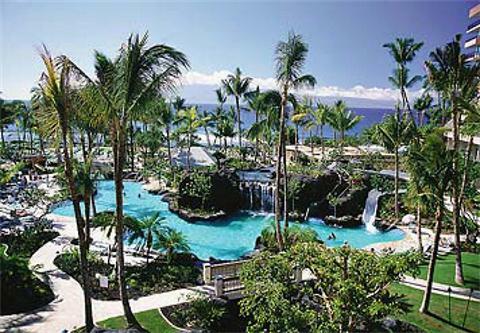 What is the difference between purchasing a Marriott timeshare resale versus retail? 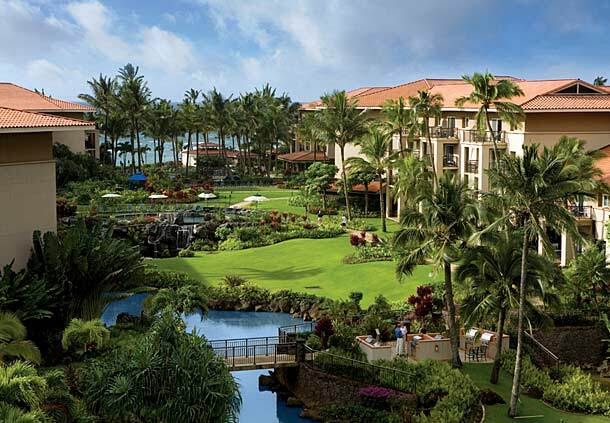 If you purchased a resale after June 20, 2010 at any Marriott Vacation Club property, including the Marriott Maui Ocean Club, you have the same booking privileges as if you bought it from the Developer. All exchanges are done through Interval International, you don’t have the option to participate in the Marriott Destination Club Points Program, nor do you have the right to convert into the Marriott Reward Points. Marriott Destination Club Points owners who purchase resale or retail can use their points at their Home Resort or any other Marriott vacation club resort, or make exchanges through Interval International or convert into Marriott Reward Points for hotel stays at Marriott locations worldwide, cruises, car rentals and discounts. A resale Marriott Destination Club points owner receives exactly the same benefits as an owner who purchased directly from the developer.